I mentioned the other day about how I met some great people at Knoxville Fashion Week, specifically the gals at Southern Grace. Another fantastic relationship I was able to establish was with the wonderful folks responsible for making professional hockey happen in Knoxville—the Knoxville Ice Bears! 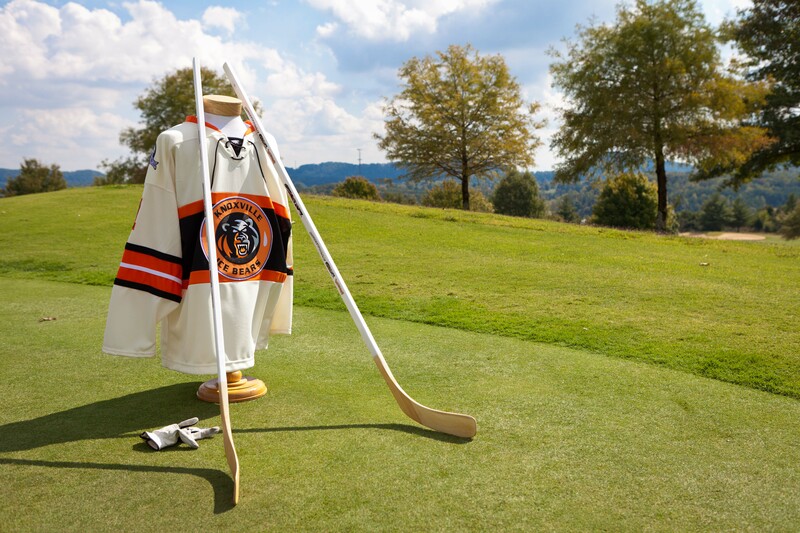 They contacted me a few weeks back about the Ice Bears Charity Classic Golf Tournament and ended up inviting Knoxville Portraits to document all the events and capture the golfers. Since it was a charity event, I donated Knoxville Portraits’ event services for the tournament, as well as a door prize and silent auction package—and the event was a success! The Ice Bears were able to fund some youth hockey scholarships right here in East Tennessee. You can see the images from the Ice Bears’ charity golf tournament here. 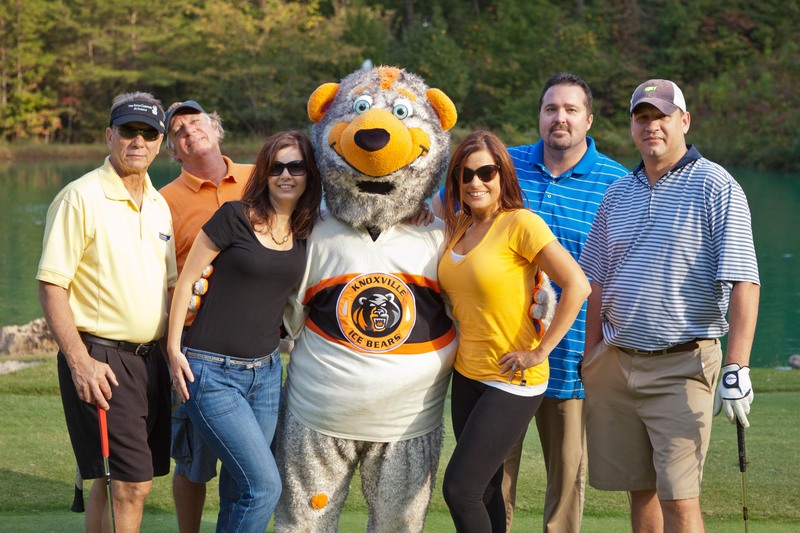 We’ve posted all the images from the golf tournament online! More information about the online gallery is at the end of the post. A Special deal for all of you reading this post! I don’t think Chilly understands golfing rules . . .
Get Tickets . . . #WannaGo? They opened the season last night, so whether you’re an Ice Bears fanatic or haven’t ever been to the ice, make sure you check out the upcoming schedule and get ready for some good old-fashioned Southern hockey! 2. Knoxville Portraits is available to capture your next event, whether it is a large corporate affair or a small and more intimate gathering, in any format you desire! Call us today at (865) 229-6673 or email ben@knoxvilleportraits.com for more information. Like Knoxville Portraits on Facebook and Follow Knoxville Portraits on Twitter for special deals, promotions, photography posts, and much more! I’ve made all the images from the Ice Bears Charity Classic Golf Tournament easy to order as prints, art products, or digital files, so everyone can keep they’re favorite images for as long as they’d like in pretty much any medium they want! Ordering is EASY with my online ordering system connected to one of America’s best print labs for those prints and art products. 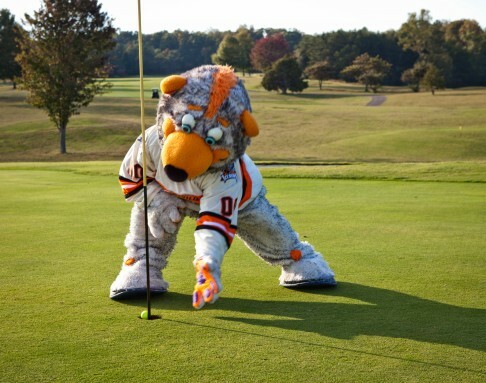 Just click here to make your way to the Ice Bears Charity Golf Tourney event page and check in, browse all the galleries, add pictures to your cart and check out! If you have any questions or issues, please let me know ASAP and I’ll personally guarantee your satisfaction. You will love the images to select from, so make sure you purchase some goodies and gifts for you, your friends, your family, or your loved ones (especially as the holidays approach!). 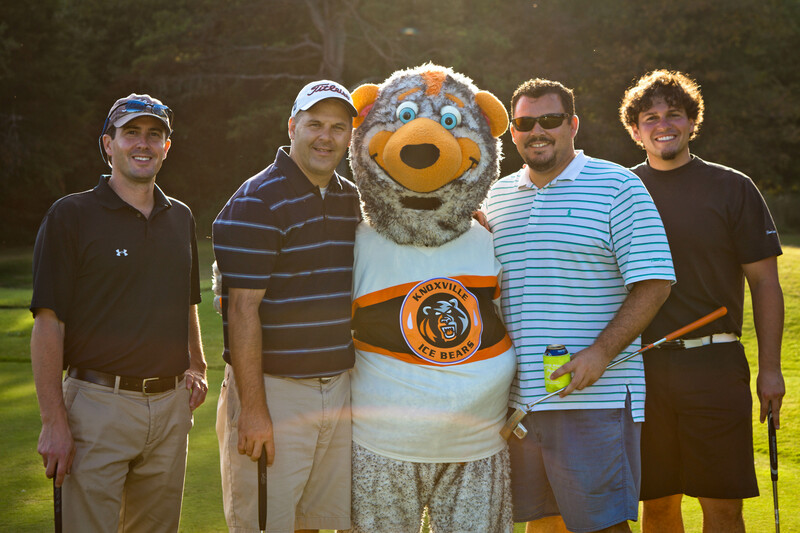 Click here to visit the Ice Bears Event Gallery! Remember, all purchases support my charity work to help the Haitian and Dominican people, primarily kids, have a better quality of life (or a life at all). I thank you so very much, in advance, for any contributions you choose to make. 4. Also, if you mention the Ice Bears at any time during the remainder of 2012, you get a $50 discount off a Portrait Design Experience at Knoxville Portraits! (We call it a Portrait Design Experience because we make sure your experience is much more than just a portrait session!) Portrait Design Experiences are $149, so make sure you call (865) 229-6673 today to get yours for $99 today!